Is There a Cure for Dry Eyes? Finding a cure for dry eyes is a very broad question, largely because of the many different causes of dry eye. Most causes of dry eye are incurable, and typically become progressively worse. This does not mean that with appropriate treatment, they cannot be relieved. Other things that cause dry eye can be dealt with by making a few simple changes. Sjogren’s syndrome is a chronic immune disease that interferes with the production of saliva and tears. Certain medications can be used to manage dry eyes, and many doctors recommend undergoing surgeries designed to plug tear ducts with silicone plugs. Laser surgery can also seal them. This keeps the tears from draining, thus increasing the moisture and tears on the surface of the eye. Other diseases that cause the same problem (such as rheumatoid arthritis) can generally be managed similarly or by treating the underlying issue. Some medications can also cause dry eyes. Of course, the easiest way to deal with this is to quit using that particular medication. In some cases, a suitable alternative without the uncomfortable side effect can be found. In other instances, nothing else may be available, so you may need to resort to other methods of managing dry eyes. Dry eyes can also result not from too little moisture, but from moisture that evaporates too quickly because of eyelid issues, climatic dryness, or insufficient blinking. Anatomical issues with the eyelids may require a referral to a plastic surgeon who specializes in such things. If the air you live in is very dry and your eyes are very sensitive, try using things like artificial tears. Ultimately, the cure would be moving, but that is rather an extreme alternative. Additionally, the problem may be an improper composition of the moisture that makes up tears: a combination of oil, water, and mucus. This might occur, for example, if the edges of your eyelids tend to become inflamed, interfering with the normal amount of oil that is secreted from the oil glands. Antibiotics, first orally and later ocularly, can actually be quite effective at managing this inflammation. 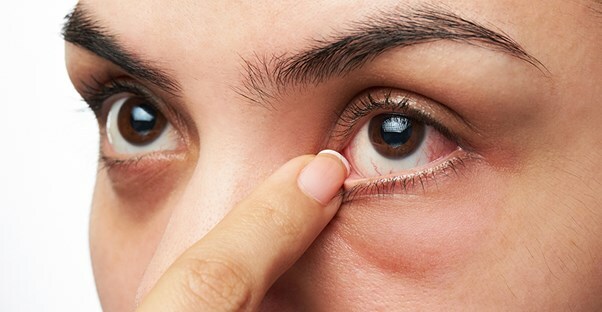 Unblocking oil glands is very effective when dry eye is caused by blocked oil glands; likewise using cyclosporine or corticosteroids (short-term) can help if it is caused by corneal inflammation. In lieu of a cure, there are many alternatives to managing dry eye caused by other issues. Cholinergics can stimulate the production of tears. Inserts like Lacrisert are placed in the eye and dissolve to become artificial tears. Sealing the tear ducts can be used for more issues than Sjogren’s disease. Many people find relief from a technique that utilizes light therapy and an eyelid massage. Specific kinds of contact lenses, called scleral or bandage contacts, are also very helpful. They work by locking moisture on the eye, working like a sort of tear trap. If you have tried everything and nothing works, there’s still another alternative: talk to your doctor about having special eye drops made from your own blood! Dry Eyes vs. Itchy Eyes: What's the Difference?